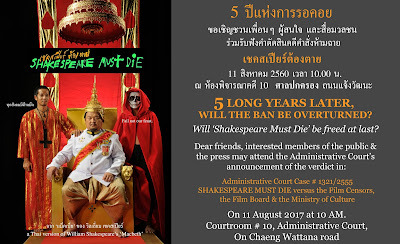 Shakespeare must die: 5 LONG YEARS LATER, WILL THE BAN BE OVERTURNED? 5 LONG YEARS LATER, WILL THE BAN BE OVERTURNED? 11 สิงหาคม 2560 เวลา 10.00 น. 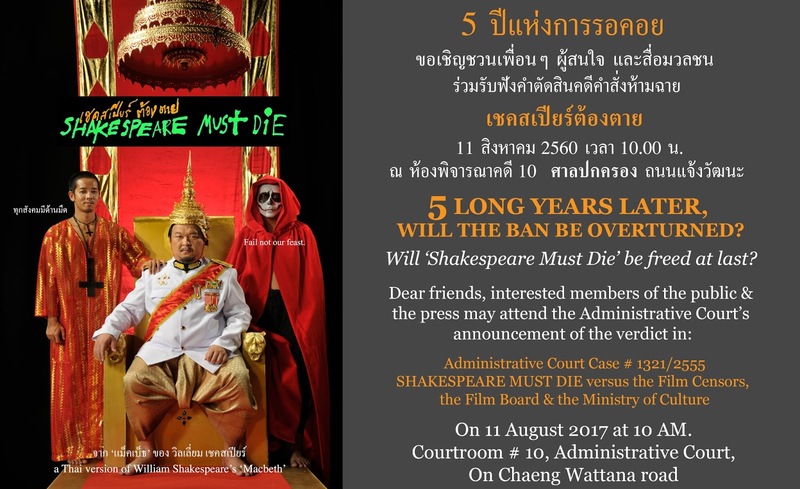 Will ‘Shakespeare Must Die’ be freed at last? On 11 August 2017 at 10 AM.